"'Oh my God, this other man that I lost within a couple days was somewhat of a father figure. Now he’s gone, and instead I’m with this grumpy guy on an island who doesn’t want me here.'" "[Luke] made a huge mistake in thinking that his nephew was the chosen one, so he invested everything he had in Kylo, much like Obi-Wan did with my character. And he is betrayed, with tragic consequences. Luke feels responsible for that. That’s the primary obstacle he has to rejoining the world and his place in the Jedi hierarchy, you know? It’s that guilt, that feeling that it’s his fault, that he didn’t detect the darkness in him until it was too late." It's interesting to see the term "chosen one" pop up again. Much of the prequel trilogy centered around the prophecy that Anakin Skywalker was the chosen one who would bring balance to the Force. It seems Luke thought that his nephew had the same potential, only to see him suffer a similar fate to his father. "I think he probably looks out on the horizon and wishes that he could be more effective, could be what Obi-Wan wanted him to be. But life is imperfect and without conflict there is no drama. Believe me, you’re going to see a lot of conflict in The Last Jedi. That is for sure." 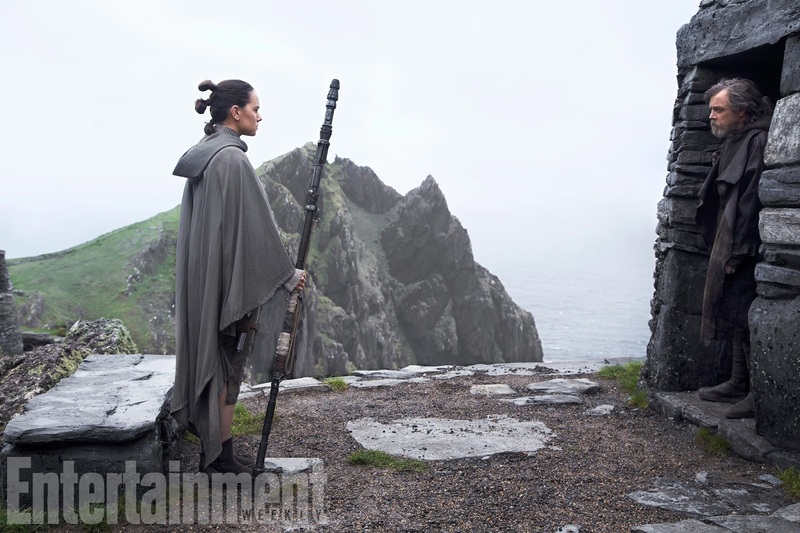 You can read the entire feature on Luke and Rey here.